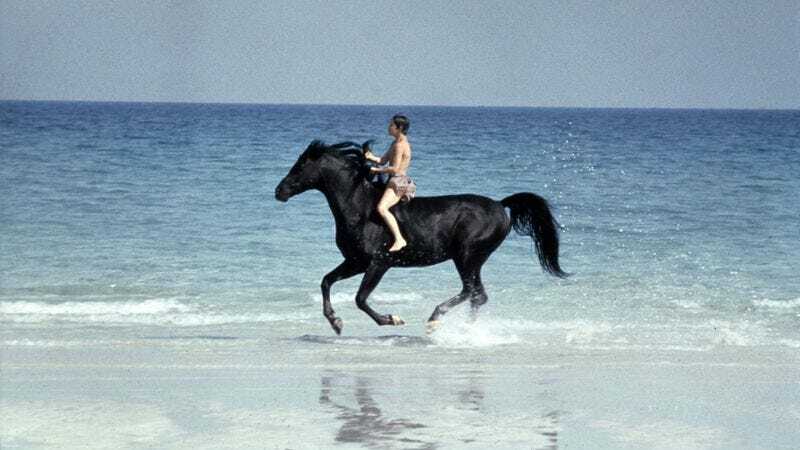 Well, after 19 recaps and three years, I’ve officially finished my journey through all of the Black Stallion books. I have one remaining question: what was the craziest thing that happened in the books? Let’s all decide together, shall we? I used my own judgment to choose and then seed eight moments from the series, and set them up for a vote, March Madness style. So, here we go: four votes to advance the craziest moments to the semifinals. I’ll do the semis on Monday, and then next Friday will be the final showdown for the absolute nuttiest moment in the series. Are there any totally nutty moments that you remember but I forgot? Disagree with my power ranking in any way? I am so torn on which one I want to see come out on top… Lol! End of the world, hands down for me. I was hoping the end of the world would feature! I re-read all the books as an adult and had somehow NOT REMEMBERED that bit????? I feel like you need to put all these blog posts together in a book. It’s like a horse version of The Onion. I would pay $ to have this in print all in one place. Not sure if you could get sued by his estate, but there was that spoof book about Martha Stewart years ago. Something like Martha Stewart is Better Than You.